If the entrance holes are at one end, I puff a small amount of smoke at the entrance, and wait perhaps a minute. If a good honeyflow is on and the weather is good, smoke probably would not be necessary with my Italian bees but I use a little anyhow. Some smoke is puffed underneath the arching top covers in case paper wasps have started a nest under the tin. Next I remove the covers and the strip that covers the rear half of the notches in my tb’s which lets me see how far the bees have drawn out comb. If the bees seemed to be alarmed because of inclement conditions in which I might need to work or some other factor, most of the notches can be kept covered . probably not be drawn out completely, and place that bar in a holder. use 5-bar nuc boxes or 5-bar “supers” to hold the bars that are removed. are spaced far enough apart that they can be used to hold tb’s. will free it also. All of the wax scraps go into the solar wax melter. bees to clear it after which the comb and bar go to my solar wax melter. replace the one or two bars I originally removed. examined or additional work postponed until the next visit. plastic bag held by a clothes pin nailed to the back of the hive body. glance at the record card shows immediately what needs to be done. 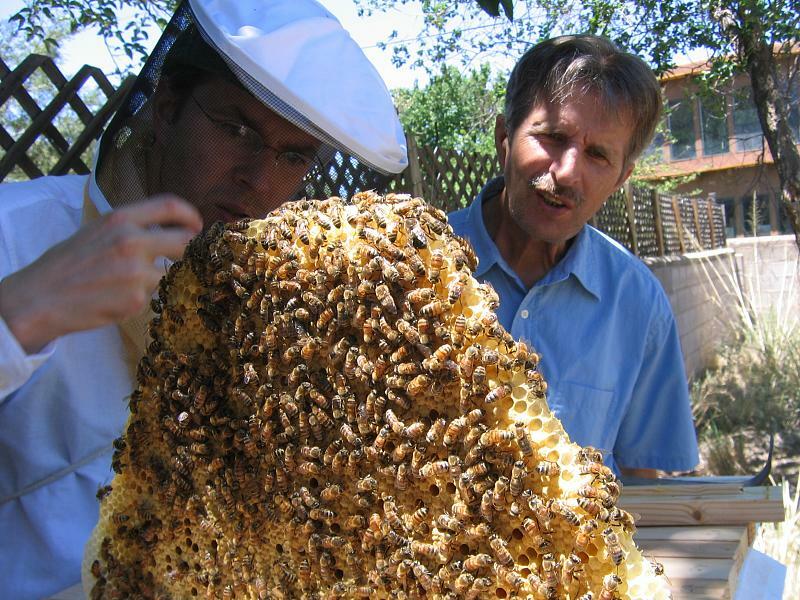 ← Will my bees (and I) hallucinate on datura?